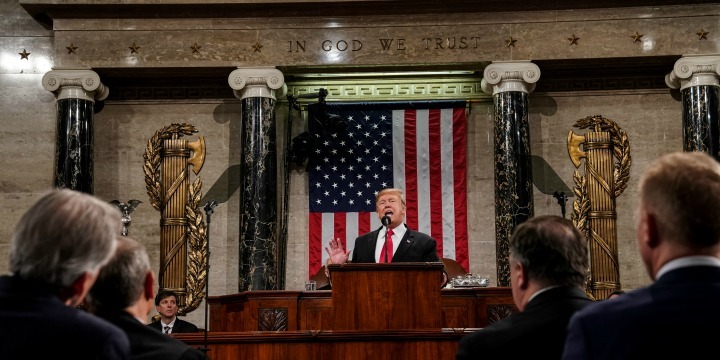 US President Donald Trump delivers a State of the Union address at the Capitol in Washington, DC, Feb. 5, 2019. Photo: Doug Mills / Pool via Reuters. 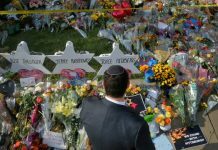 President Donald Trump’s annual State of the Union address on Tuesday drew a wide range of responses from American Jewish groups. On #SOTU: Thank you @POTUS for your strong condemnation of anti-Semitism and commitment to protecting the Jewish people and the State of Israel.